Merfbaby is 18 weeks today! 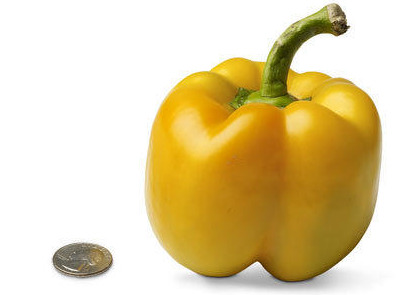 Merfbaby is 5 1/2 inches long and about the size of a bell pepper. How I’m Feeling: Hungry. Ha! Overall I feel really good. I’m much more comfortable since I got some clothes that fit better. My appetite is normal, my energy is back and I’m sleeping pretty well. My bionic ankle was killing me last week! I know swollen feet and ankle’s are a symptom of pregnancy, but I was really starting to wonder if I had injured my ankle. I asked a few friends that I know have old injuries and they all said it was a painful week! Since breaking my ankle I was determined 9% permanently disabled with a high probability of early arthritis. Yay! I kept it elevated and I’m feeling much better now. Belly/Weight: I think I’ve officially “popped.” I’m still wearing a few of my regular pants with the Belly Bands and most of my tops are too snug. I went shopping on Sunday for Maternity Clothes at Macy’s with Momma-son. I took my gift cards and they were having a sale so I got 1 nice pair of jeans, 3 tops and 2 bras! Some of the clothes were so expensive, like $70 for ONE shirt?! Are you crazy!? Everything I got was buy one get one 50% off. I’m most happy with the bras :) TMI warning – my old bras weren’t cutting it anymore. It was not cute. The ones I got are also nursing bras so I know I’ll get a lot of use out of them in the coming months. Life Changes: Maternity clothes are strange. They do fit better, but they are kind of awkward. But I guess everything is going to get awkward in the fit department in the coming months…I’m also finding it a little more difficult to bend over and pick things up. I’m also trying to appreciate putting on my socks and shoes since I know that’s also going to become more challenging. Movement: I really thought I felt something one day, but I still can’t count it yet. I’m so ready to feel something! Sleep: I love sleeping. I’m still going to be around 9:30pm and sleeping until 6:30am or 7:00am. I wake up a few times during the night to roll over and once every night at 2:30am to go potty. I’ve woken up several times in the last week with my hands asleep which I hate. Such and icky feeling. Kelly and I discussed pillow options…I think I may need a body pillow but I’m unsure if I’ll like it? I feel like having smaller pillows would be more comfy, but one lager pillow would make it easier to roll over. Cravings: I had a serious pregnant lady moment this week…We were sitting in the office at work and I randomly said, “doesn’t a Wendy’s frosty and some french fries sound good?” Everyone agreed with me, and our office PA offered to make a run for me. 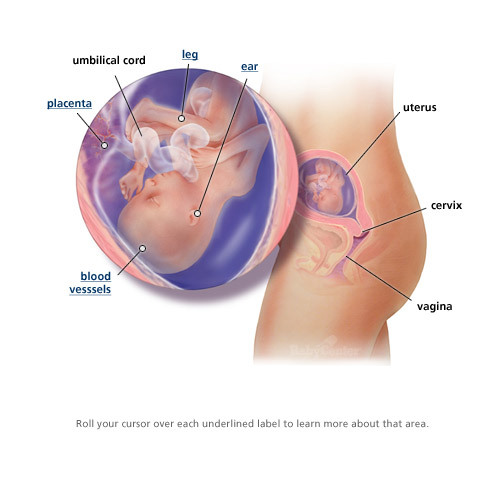 I was like no, that is WAY too pregnant of me to ask you to do that. Eventually everyone else admitted that they wanted something from Wendy’s so a trip did happen :) And it was so tasty! Exercise: It was a walking week for me. I wasn’t sure how my ankle would feel so I planned to take it easy and just do walking at the gym and around the office when I take Betsy out for her potty breaks. Favorite Pregnancy Moment this week: We went to Babies R Us on Saturday at 5:30pm. It was totally the witching hour for all the kids there since it was close to dinner and they were going nuts. It was intense. We looked at Car Seats and Strollers and a few other items. It’s overwhelming how much “stuff” you’re expected to get. I have a feeling we’re going to pass on a lot of the stuff just because I don’t see the immediate need. Obviously we need to cover the basics, but we both feel like there’s a ton of stuff that we won’t use. When I pushed my first trial stroller down the aisle I felt so funny, thinking “am I old enough to be doing this?” It was funny! We both felt better after seeing some things in person but I plan to register for most items online. After Babies R Us we went to Best Buy and got a new Fridge!!!! I’m calling this a pregnancy moment since it falls under our “nesting” plans of updating our kitchen :) Hooray for President’s weekend sales, open box specials and paying cash!